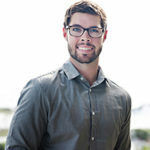 Jonathan Spears is a Sales Associate and Team Leader for the Spears Group, Scenic Sotheby’s International Realty. Spears obtained his real estate license at 18 and graduated at 19 from Florida State University with a Bachelor’s degree in Business Administration. He joined the Sotheby’s International Realty team in 2015, and is the #1 Realtor in NW Florida. He ranks among the Top 100 Realtors in the U.S. by sales volume as reported by Real Trends and the Wall Street Journal.